Mozambique President Filipe Nyusi has officially inaugurated the 120 MW Gigawatt Park gas fired power station, in Ressano Garcia. The project was developed by Gigajoule International, a South African investment group and majority shareholder in the project and took 18 months to complete. The plant’s 13 generators of 9.3 MW each were manufactured by multinational corporation ABB and powered by Rolls-Royce engines. Gigajoule International CEO Johan de Vos said the plant had an installed capacity of about 120 MW. Gigawatt chairperson Castigo Langa added that the electricity generated by the power station was supplied to power utility Electricidade de Moçambique under a long-term power purchase agreement, both for use within Mozambique, as well as for sale to the regional Southern African Power Pool network. Langa said the capacity of the power station would cater for about 24% of the needs of southern Mozambique excluding that of the MOZAL aluminum smelter. He said this was a significant contribution to reducing the country’s energy deficit. The project was developed through an investment of $200-million and the contract subsequently implemented by engineering firms WBHO and PB Power, with solar thermal power company TSK as the main subcontractor. 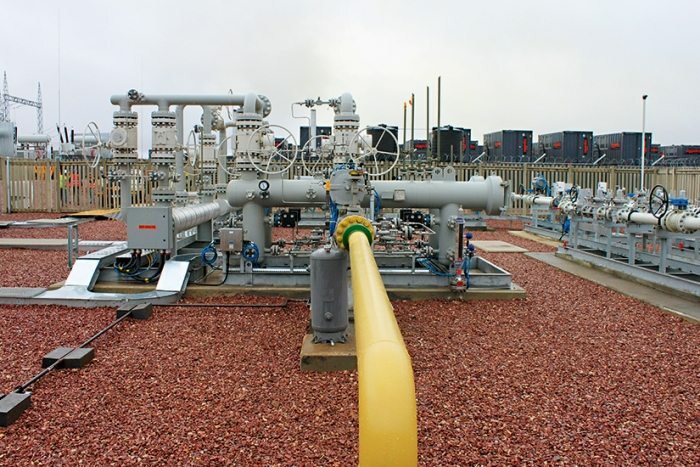 Gigawatt Park plant was powered by the Matola Gas Company who supplied natural gas through a pipeline that branched off the main pipeline from Pande, Mozambique, to South Africa. “We have subcontracted Aggreko to produce energy using power stations that can be dismantled to satisfy short-term commercial agreements of between two and four years since there is insufficient gas available to sustain a long-term contract of this order of magnitude. Gigawatt remained committed to seeking better ways of expanding the capacity of the power station until it met the terms set in its concession license,” Langa noted. The power plant has since secured additional gas to increase the plant’s capacity by another 40 MW up from the 350 MW concession that was initially awarded.